When Pearl Harbor was attacked and WWII began, "Bill" enlisted in the Army Air Core. He became a bombardier on a B-17 named L'll Abner. He was part of the "First Over Germany" campaign. After flying a number of successful missions, his plane was shot down over Belgium, where he spent 2 years as a POW in Stalag 17. When the war ended, he was released and returned to Reedley in 1945. He promptly developed a partnership with his brother-in-law, Earl Nelson. 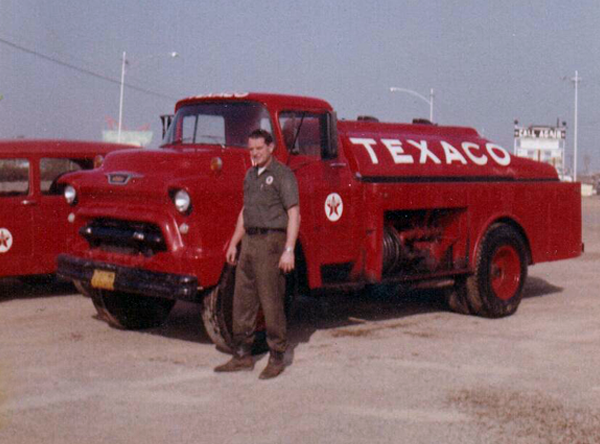 They formed Nelson & Rhodes, Texaco Distributors that delivered to farming operations in the Reedley area. 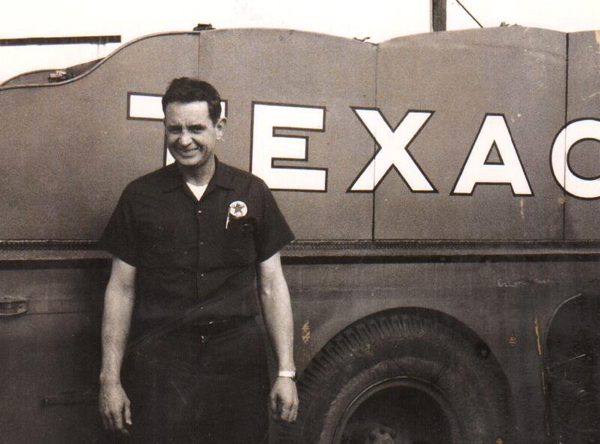 In the early 1950's, Bill bought out Earl and became the sole proprietor. During the 1970's the business was able to make a leap forward. 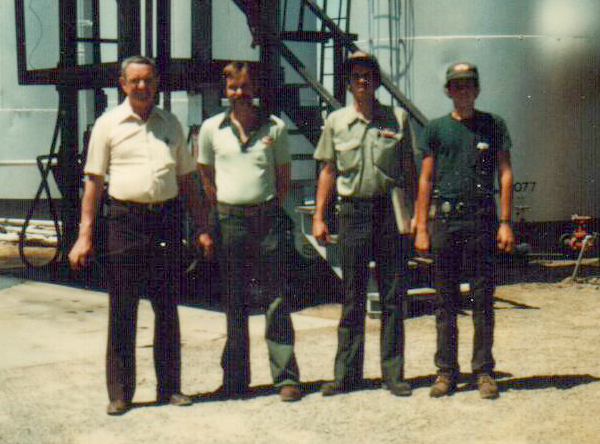 Three of Bill's sons, Tony, Joe and David, came on board and Rhodes Incorporated was formally established along with the opening of Cardlock fuel station. Bill Rhodes embodied community involvement and gladly served in a number of organizations in Reedley. 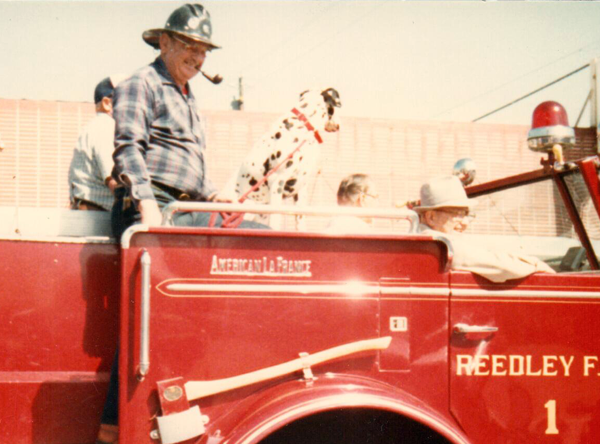 He served as the Mayor of Reedley from 1964 to 1966 and served on the Reedley Fire Department for 40 years. Some other organizations he was a part of included: Lion's Club, Knights of Columbus, Toastmasters, Fraternal Order of Eagles, American Legion, Veterans of Foreign Wars, and Reedley City Council. Bill passed along his philosophy of giving back to his sons. Joe served as the Mayor of Reedley from 1998-2002. 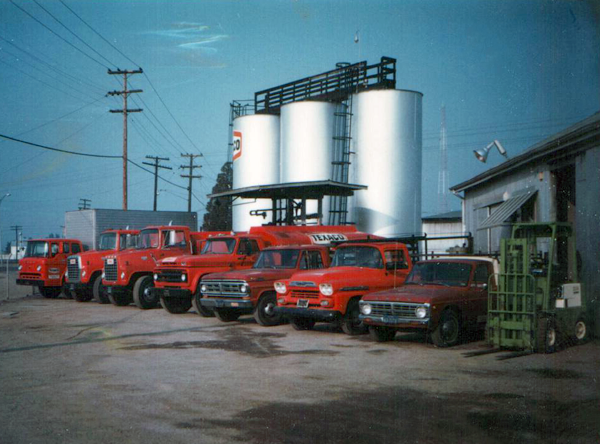 All three sons proudly served on the Reedley Fire Department for more than 25 years each. 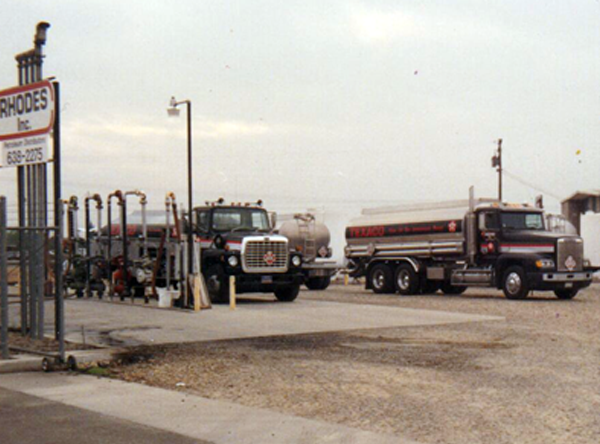 By 1982, Rhodes Inc. had acquired its first convenience store gas station and would go on to purchase 3 more before Tony, Joe and David bought the business from Bill who enjoyed his retirement until his passing in 2007. Joe passed just a few years later in 2010. When Tony retired in 2015, David (the youngest brother) became president of Rhodes, Inc. and is preparing the next generation to inherit the legacy. Since 2013, David's son, Cameron has been helping him run the operation. 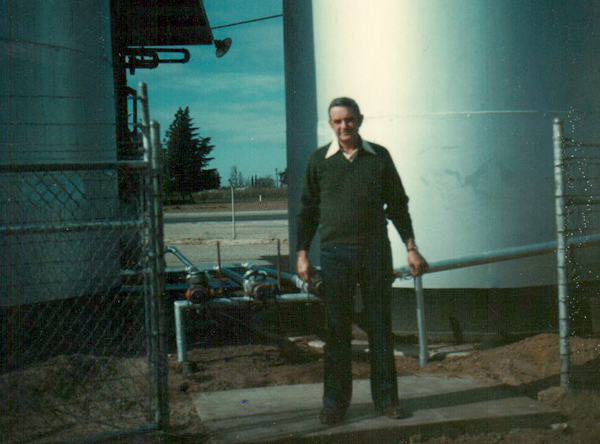 They remain focused on running an honest, personable, quality business that would make "Bill" proud.